The Factory Cheese Steak mac and cheese, how delicious does this mouthful look?! Listen up mac and cheese fiends, I have a story to tell! 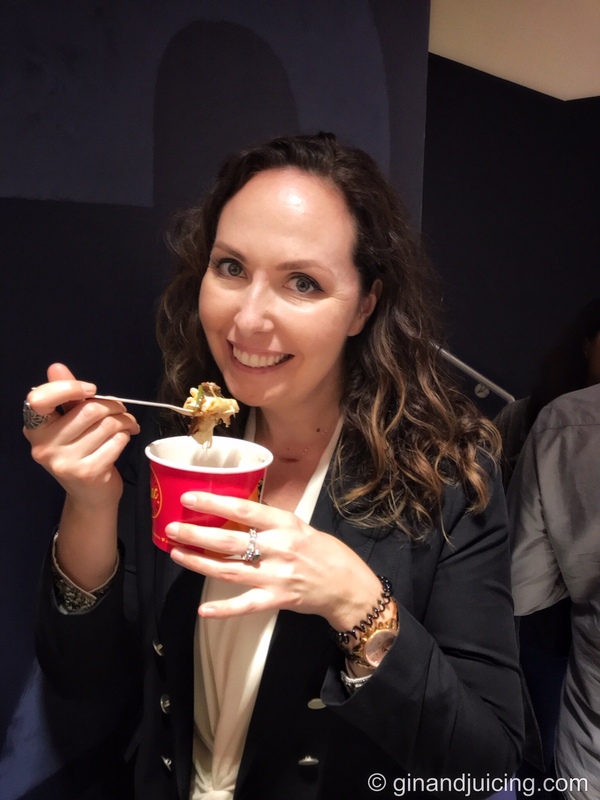 Last week I was lucky enough to be invited along to The Mac Factory’s Pop Up Launch Party at Debenham’s Oxford Street and it was a cheesy, carby, gourmet adventure into the world of making the best quality mac and cheese from scratch! Firstly, this place is mac and cheese heaven. 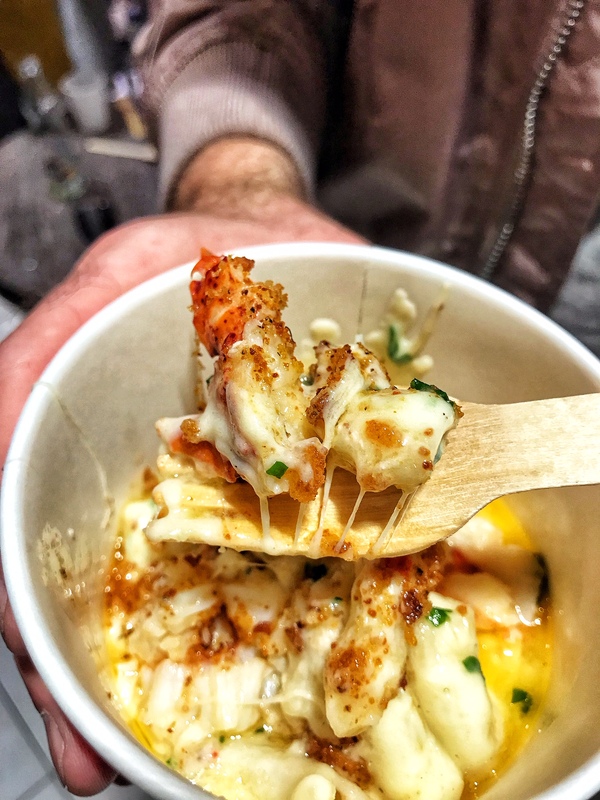 It’s a teeny little slide of carb and cheese perfection, tucked around the back of Debenham’s flagship store on Oxford Street, finding it is like going on a treasure hunt, but when you do find it, the mac and cheese treasure is yours! The Mac and Cheese Maestro, Mr Graham Bradbury! What’s on the menu? 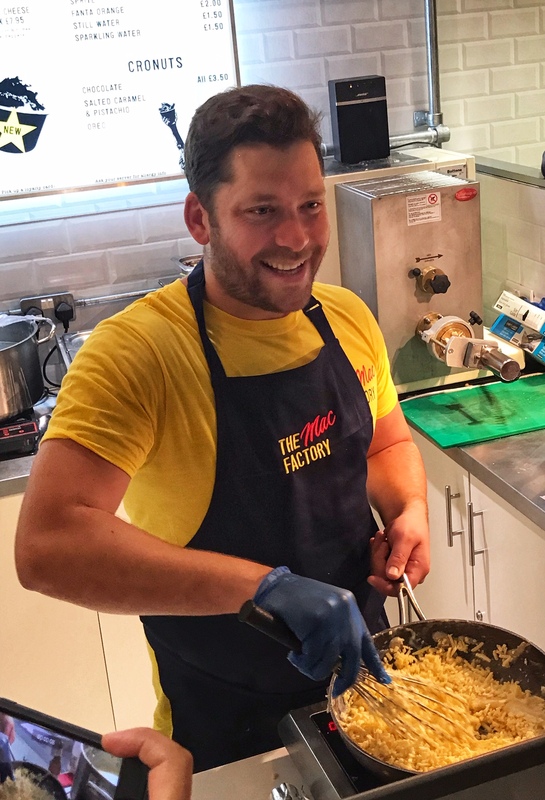 Well, The Mac Factory takes your humble mac and cheese and gives it a bougie mac and cheese twist, as the lovely founder Graham Bradbury (AKA Daddy Mac) said, ‘anything that works on a burger, works on mac and cheese’. So you’ll find treats like ‘Posh Spice’ with spicy chorizo, caramelised onions and harissa or ‘Super Mario’ with sautéed mushrooms, truffle oil and garlic. Are you drooling yet? On the night, we were lucky enough to try the two newest additions to the menu, ‘Factory Cheese Steak’ (roasted short rib, beer cheese and peppers, amazing) and the ‘Lobster Boy’, with fresh lobster poached in garlic and parsley butter. My absolute favourite was the ‘Factory Cheese Steak’ but Mr G&J fell in love with the ‘Lobster Boy’, there’s definitely something for everyone on the menu. 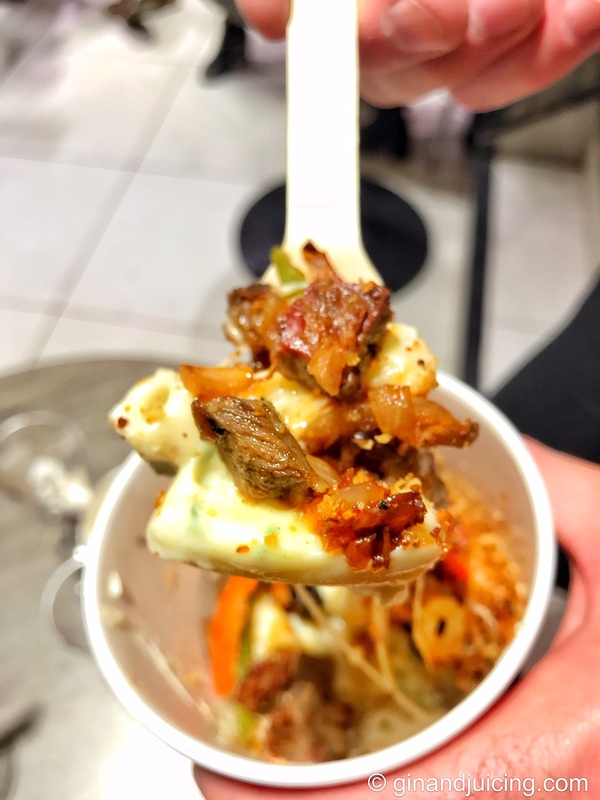 If you didn’t know, The Mac Factory started at Kerb in Camden Market and still has a location there, along with Graham’s other fabulous cheesy concept, The Cheese Wheel (cannot wait to try that place!). The Mac Factory prides itself on making its macaroni fresh, from scratch, for every order and they always use locally grown and locally sourced ingredients. 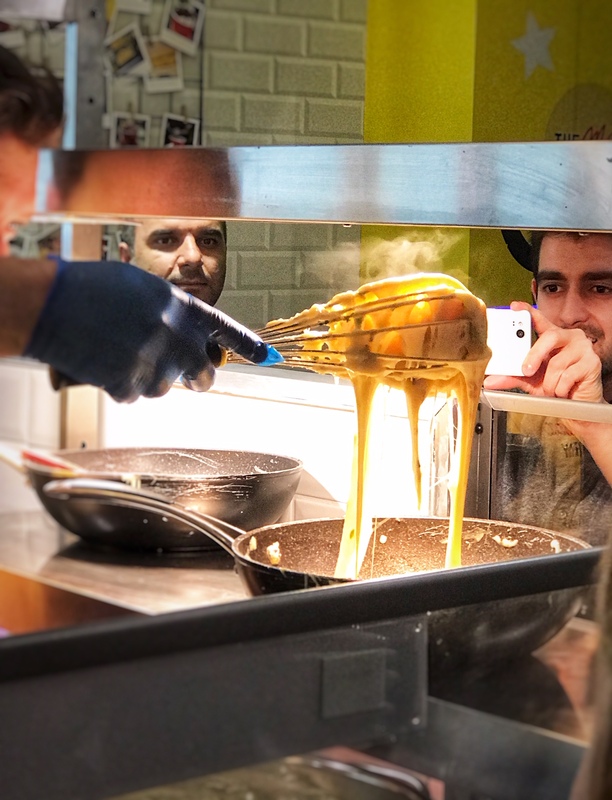 There’s a huge amount of pride that goes into every delicious, cheesey, carby bite that The Mac Factory so as you stuff your face, you can rest assured that you’re nomming on the highest quality mac and cheese found in London. The Mac Factory is definitely one of the top three mac-n-cheese’s that I’ve had in London, the other two being my own (I’m so vain) and Hawksmoor’s. The Mac Factory team are utterly delightful, and I can’t thank them enough for inviting me down to sample their amazing mac and cheese. A huge thanks also to Vickie from North PR for keeping the wine topped up and listening to my mad tales of lobster adoption all night! Anyway, do yourself a favour and get down to The Mac Factory on Oxford Street (behind Debenham’s on Henrietta Place) and tell them ginandjuicing sent you!